Next review Ddl instaflex took money from my account without authorization. 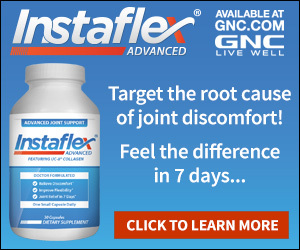 I saw this Instaflex free trial sample on Yahoo. It claimed that in order to get a free sample all you have to do is pay shipping for 4.99$. When I went to my bank I saw a charged on my account of 74.98$. I called the Customer care of Instaflex website & was told that by authorizing the free sample it is automatically signed up for a whole year of subscription.Nothing was noted like this when I signed up for a free trial.I don't think that anyone within reasonable mind would agree to this agreement had this been stated on the free trial statement. Why would someone would allow to be billed for a whole year worth of product when you don't know if the product is worth it or not , or whether it will work or not. 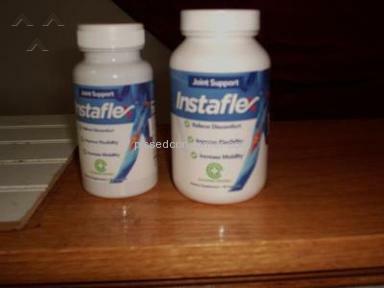 That is why it is a trial.This is a brilliant way to scam.I tried Instaflex for a week & had to discontinue it due to it gave me so many other side effects which I think have a mix reactions with some other prescriptions & vitamins I am taking.It gives me nausea, heartburn,headache,bloating,constipation,agitation & anxiety. I know it has something to do with Instaflex becoz I marked it on my calendar when I start taking it & when I stopped it the symptoms went away.I was so pissed when I saw that on top of it a humongous charged is billed on my account.Now I have to ship this back to them which is another payment & worst of all aggravation.This type of scam should be prosecuted with the maximum force of the law becoz those people & companies who have legitimate business & good intentions selling or offering legitimate products are being shunned away fearing that all advertisers online are scam.Buyer Beware...Tell Yahoo to take them off from their ad. This kind of scam is poisonous to our freedom to use the internet. With this experience I certainly won't dare to use online transactions again.Which is a bummer becoz it is so convenient to do for someone who is disabled & sick. Review #208159 is a subjective opinion of User208159. Had same issue with another product, but after persistent calling, I didn't give up, and was refunded every cent. I agree there should be something done.good luck. .. I had the same experience. this was after paying shipping on a supposed FREE SAMPLE ... my credit card company has issued a full refund for the extortion. 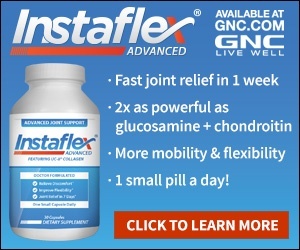 instaflex is not a scam heard plenty of great things about it and people who can't read when entering there credit card are the ones giving this product a bad name so simple as that READ people are getting too lazy!! Its funny you mention this because I am a very satisfied customer of the instaflex product and as I remember it when I signed uP for the trial there was a box I actually had to click stating I agreed to the autoship program before I even ordered. Not only that but u are not agreeing to any kind of contract and can cancel at anytime with no penalty. Thank god for instaflex I can finally walk again comfortably. Next time I would suggest reading before you enter your card into the computer.